Hotel de Rome is a “Grand-Old-New Hotel”. I’ve coined a new category. Whether you prefer a hotel that has a worthy provenance or a modern hotel of today you’ll experience both at Hotel de Rome in Berlin. Originally built between 1887 and 1889 it was the headquarters of Dresdner Bank until 1945. In 1945 all branches of the Dresdner Bank were closed in the Soviet occupation zone. The GDR State Bank occupied it until the fall of the Berlin wall and after that it was empty, and in disrepair, until 2003 when Sir Rocco Forte did his magic. Now everything that was old is new again making the Hotel de Rome all about now. In fact, it would be hard to imagine it otherwise except from the outside. Sir Rocco Forte and his sister, interior designer Olga Polizzi, collaborate to build some of today’s most beautiful grand hotels. I first met her years ago – although I’m sure she wouldn’t remember – at the Hyde Park Hotel in London when it was a Forte Exclusive property, before it was purchased by Mandarin Oriental. I was so enthralled by what she had done there that when she was pointed out to me I went up to her to tell her how fabulous I thought she was. She still is fabulous today, leaving her unforgettable mark on every Rocco Forte hotel. The de Rome gives you that “WOW” when you enter the enormous high ceilinged lobby. “I picked the right place” you will think to yourself. It’s just a bit intimidating, but that’s exactly one of the things that put grand-new hotels on the map. The attention to detail begins in the public areas, and doesn’t end there. Every accommodation is unique. You won’t tire of your room here. I stayed for a week and didn’t want to leave. The Hotel de Rome’s 109 rooms and 37 suites are on five floors. The rooms and suites on the lower floors have higher ceilings but that seems irrelevent as the higher floor rooms have ceilings that are over nine feet tall. They’re decorated in tones of cream, blue and red. Even the standard rooms are beautiful and well appointed. You’ll have plenty of outlets for all your technical needs. The baths have separate showers and tubs. The air conditioning is so quiet (a true sign of a luxury hotel) that when I first arrived I had to check if it was turned on. There are just enough public rooms and spaces to enjoy, whether you’re with someone or solo. I never felt neglected as the attentive staff members are always about. The main dining room, Parioli, is an outstanding Italian-themed restaurant under the guidance of Chef Jörg Behrend. The venue is so agreeable and, during warmer months, there’s outside seating. The roof terrace overlooking the State Opera House is a favorite meeting place in the afternoon when weather permits. Here, they offer coffee, ice tea and special cocktails that are champagne or vodka based, along with lite snacks. The hotels Opera Court, formerly the lobby of the Dresdner Bank, serves a full afternoon English tea. The Bebel Bar plays host not just to hotel guests but locals as well. Live music and an interesting cocktail menu make it one of the places to go to in the area. A vault where jewels and gold were stored is now the spa….an oasis of calm, with a 20-meter pool, steam room, sauna and gym. Finally, every staff member here seems genuinely happy. Sir Rocco Forte possesses the ability to find that innate quality in all those whom he employs, and the de Rome is no exception. I personally like a hotel manager who is visible and interacts with his guests. Some are so adept at it that I imagine a hidden camera that is a direct link to their iPhone or android. Hotel de Rome’s General Manager, Thies Sponholz is all about engaging with his guests and – just as important- he’s easily approachable. A good manger will always make you want to return, and that he does. When she is not traveling the world representing the hotel, their Sales Manager, Stephanie Brueckner, is also often found interacting with guests. You’ll recognize her when you see her. She defines beauty and graciousness. Stephanie possesses that innate gift of an admired politician. You know the type! When they speak with you, you feel and believe for a moment that you are the only person in their life. It’s not surprising how well known, respected and loved she is in the travel community. The next time you want to experience a “Grand-Old-New Hotel” head to Berlin and stay at Rocco Forte Hotel de Rome. Congratulations to Stockholm’s very own Lydmar Hotel! Only moments ago the Lydmar was ushered in as the newest member among hotel elites – Virtuoso. You heard it here first, folks. Why am I posting about this? Because I would live in this hotel if I could. After I stayed there, they sent me an note asking if I would be willing to write a letter of recommendation to the Virtuoso board. Duh! Of course I would. It is, far and away, my favorite hotel in Stockholm. I took this photo standing in front of the hotel in the morning. I took several other pictures of and around the hotel and also of my suite. I suppose this means I should actually write a post just for them. Meanwhile, here is my personal congratulations to Virtuoso’s newest member. 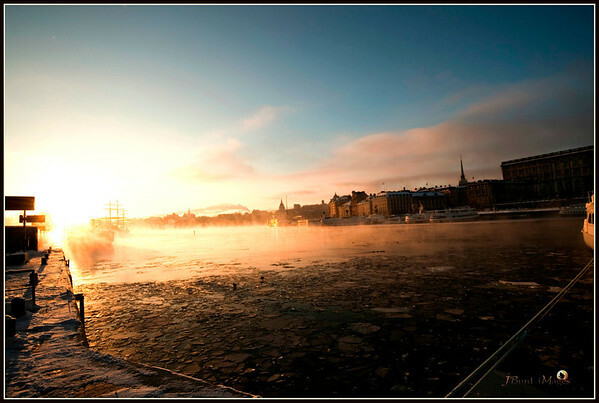 If you want to visit Stockholm, get in touch with me. I’ll hook you up. You can even click HERE and book it yourself. (Don’t worry. If you do book it online, I’lI be sure you get VIP treatment.) After you stay at the Lydmar, you’ll wish you could live there too. It’s about views and dining at Acqualina Resort & Spa in Sunny Isles Beach, Florida. New Yorker’s love views. This vertical city I live in has lots of them. I’ve lived all over Manhattan and I’ll give up “charming” anytime for a view. So when I travel the first thing I do when I walk into my hotel room is check out the view. Next, I check out the dining options. Acqualina has great views whether I’m facing the magical aquamarine Atlantic to the east, or overlooking Miami to the west. From this high-rise luxury hotel, the lights sparkle at night reminding me that I’m in another unique city. The rooms are beautiful and spacious, even the entrée level ones are impressive in their size and décor. Acqualina has recently added another dining venue – AQ by Acqualina. This new option has an open dining room with an outdoor veranda and a raised bar. All of this – yes it’s about the view – commands front-row seats overlooking the Atlantic Ocean. The menu by acclaimed chef Dewey LoSasso offers “farm-to-table” modern American fare and creative libations. The variety of dishes includes snapper croquettes, rough falafel fritters and sunflower crostini with spaghetti squash. Recognized favorites like grilled skirt steak and a raw bar with sushi are offered as well. Innovative and classic cocktails, along with an extensive wine list, are also available. For more formal dining Acqualina still has the world famous Il Mulino New York which is known worldwide for gourmet Italian cuisine. Then, of course, there’s always room service. One of the best parts of staying at a true luxury resort like Acqualina is the ability to kick back in a beautiful room, order up great food and watch a large-screen TV, or, guess what, gaze at the view!